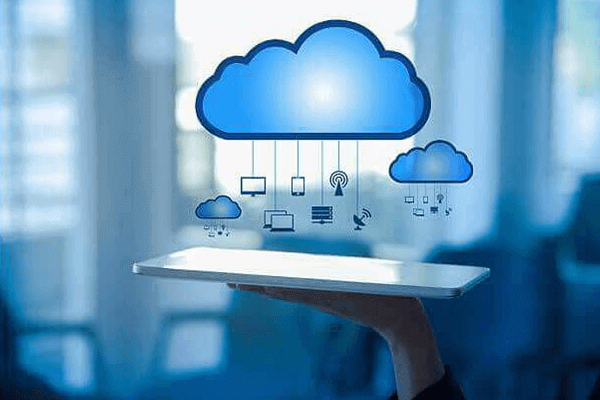 As we all know that the common and trending benefits of using cloud computing technology are business agility, efficiencies, scalability, and money savings. Apart from all these, the most important advantage of using the online platform is that ‘it does not demand any significant amount of capital investment upfront.’ In this CloudCodes post, we are going to update our regular blog readers with cloud architecture and cloud computing trends in 2019. This will enhance their knowledge regarding the online technology and enable them to enforce cloud security measures accordingly. Nowadays the tech gaming pattern has completely changed! With the emergence of the internet over all platforms, the advancement in computing and product development procedures is now entirely digitized. Now anyone can use the globe’s best technology just while sitting in one place – either at home or anywhere else. Starting from the small businesses to the large enterprises, all firms are shifting their work from traditional storage architecture to the off-premises storage location. The technology of cloud computing relies on the hardware and software’s virtualization for its service-oriented infrastructure and multiple other add-on services. Either you desire to backup, store, retrieve back information, create new apps and services, host blogs and websites, provide product on demand, analyze the data for patterns, streamline audio and video, and assume predictions like never ever before, use of some of the primitive online services like SaaS, IaaS, and PaaS, are worth while considering. Furthermore, in the upcoming section, we would like to through some light on cloud architecture trends, which had shown a profound impact that cannot be seen by global users worldwide. Consolidating 5G Has Issues – The integration of 5G cellular and cloud technologies could result in more capacity and operation on IoT (Internet of Things) machines. 5G technology comprises of an architecture, which renders faster connections for the mobile service, enables network clients to upload large-sized video files more quickly, reduce the buffering time while seeing movies, and connect more electronic devices with internet. But, take a pause! There are four major problems with this combination of cloud architecture and cloud computing trend. First problem is a financial issue because it is too much expensive for a network to convert itself into 5G services. Second issue is associated with political problem because US FCC has removed the regulations that provide internet neutrally. Third one also is a political issue where there is battle in between U.S. and China. The purpose of this battle is to decide that which of the 2 countries will prevail in 5G. The last and the fourth one is health and environment-related problems. The wireless radiations coming out from 5G networks can lead to cancer among a large number of human beings. Quantum Computing – After surveying the services offered by biggest CSPs like Microsoft Azure Cloud, AWS, IBM, and GCP, it seems as if in the year 2019, these service providers are going to render bigger, enhanced, and brighter prospects. This point of quantum computing is actually a new topic for talks in today’s town, which is assumed to take place as a science material, mathematically, etc. Very soon, we will be capable of optimizing complex machines through human-like communication and develop a better financial infrastructure. Hybrid Cloud Solutions – This point in cloud architecture and cloud computing trends is not new these days. Hybrid cloud infrastructure will conquer the enterprise world because of some common reasons like strength and freedom. After consolidating private as well as public cloud, customers can move data and application in to and fro motion without any complications. Hybrid platform ensures the transition risk and hence, reduces overall cost. For example – If someone desires to organize projects like email advertisement, then the public cloud platform is the best option for the same; But, if someone wants to carry private operations like financial report creation, private cloud is the perfect place for him or her. More effective, efficient, and faster method to integrate with data scientists. Automate the daily operation and hence, reduces the labor’s extra workload. Support the data governance standards to ensure data security all the time. Several business owners are taking pride in overseeing each and every aspect of their enterprise. But, in some unfortunate situations, things can hamper productivity and firm’s reputation in the marketplace. The occurrence of these unfortunate conditions turns to cloud computing into a viable option. The cloud architecture and cloud computing trends are to change the working pattern in businesses and make it faster than ever. Still, it is essential for users of cloud infrastructures to be balanced with proper cloud security standards and backup measures to secure their data from data breaches or Cyber attacks.